Mergers and acquisitions (M&A) occur when businesses combine to achieve corporate objectives. In an acquisition, a company purchases another company’s assetsTypes of AssetsCommon types of assets include: current, non-current, physical, intangible, operating and non-operating. Correctly identifying and classifying the types of assets is critical to the survival of a company, specifically its solvency and risk. An asset is a resource controlled by a company which future economic benefit, identifiable business segments, or subsidiaries. In a merger, a company purchases another company in its entirety. In either situation, there is a union of businesses. Along with mergers and acquisitionsMergers Acquisitions M&A ProcessThis guide takes you through all the steps in the M&A process. Learn how mergers and acquisitions and deals are completed. In this guide, we'll outline the acquisition process from start to finish, the various types of acquirers (strategic vs. financial buys), the importance of synergies, and transaction costs come special accounting principles. This guide will cover purchase accounting for mergers and acquisitions. The main purpose of a business combination is to achieve some form of synergy. In the combination, the acquirer hopes to assume control of the acquiree. Numerous legal, taxation or other business-related strategies may be used to structure an M&A deal. When analyzing an M&A, a common approach is the acquisition method, wherein the deal is viewed from the perspective of the combining entity that is identified as the acquirer. The acquirer assumes control of the acquiree’s assets, liabilities, and any other business pieces pertinent to the acquiree’s operations. These are only possible factors in assessing control. Numerous factors are involved in determining which entity has the power to govern the financial and operating policies of the post-merger firm. There also exist reverse acquisitions. In a reverse acquisition, the acquirer is the entity whose equity interests have been acquired and the issuing entity is the acquiree. For example, a private entity arranges to have itself ‘acquired’ by a smaller public entity as a means of obtaining a stock exchange listing. In actuality, this private entity is the acquirer if it has the power to govern the financial and operating policies of the legal parent. Note that the acquirer need not be the larger of the two entities. The acquisition date is the date on which the acquirer effectively obtains control of the acquiree. Assets given and liabilities incurred or assumed by the acquirer must be measured at their fair values at the date of acquisition. If any of the cost of a combination is deferred, the fair value of that deferred component is calculated by discounting the amounts payable to their present value at the date of acquisition, including any premium or discount likely to be incurred in the settlement. The published price at the date of exchange of an equity instrument provides the best measurement of value and is used except in rare circumstances. Other valuation methodsValuation MethodsWhen valuing a company as a going concern there are three main valuation methods used: DCF analysis, comparable companies, and precedent transactions. These methods of valuation are used in investment banking, equity research, private equity, corporate development, mergers & acquisitions, leveraged buyouts and finance should be considered only if the acquirer can demonstrate that the published price at the date of exchange is an unreliable indicator of fair value and that the other evidence and valuation methods more reliably measure fair value. If the published price at the date of exchange is an unreliable indicator, the fair value of those instruments can, for example, be estimated by referencing their proportional interest in the fair value of the acquirer or the proportional interest in the fair value of the acquiree obtained, whichever is the clearer measurement. Under new M&A accounting rules, the costs are treated as expenses in the period of service. General administrative costsSG&ASG&A includes all non-production expenses incurred by a company in any given period. This includes expenses such as rent, advertising, marketing, accounting, litigation, travel, meals, management salaries, bonuses, and more. On occasion, it may also include depreciation expense are recognized as an expense when incurred. General administrative costs, including the acquisition’s department maintenance cost, that are not traceable to a particular combination are not included in the cost of the combination; they are instead expensed when incurred. Furthermore, costs incurred while dealing with financial liabilities are not included in the cost of a business combination. They should instead be included in the initial measurement of the liability. Jenas PLC acquires the entire ordinary share capital of Shearer Ltd. Shearer’s been profitable, with an average net income per year of between £2,950,000 and £3,250,000 over the last 8 years. Jenas agreed as part of the acquisition cost to pay an additional £1,000,000 to the previous owners of Shearer if over the next three years the average profitability of Shearer exceeds £3,000,000 at the net income level. Given the historical profitability of Shearer, it is probable that the payment will be made in 3 years’ time. Therefore, the deferred contingent consideration will be included in the cost of the acquisition at the acquisition date. If at any stage there is evidence to suggest that the deferred contingent payment is unlikely to be paid (not probable), the cost of the acquisition should be adjusted with a subsequent amendment made to goodwill. From the shareholders of the acquiree’s perspective, being acquired with equity issued by the acquirer carries its own risks. For instance, the acquiree faces the risk that the equity instruments issued by the acquirer will lose value. In some acquisitions, the acquirer agrees to issue additional equity instruments to the acquiree if the fair value of the equity instruments given initially as consideration for the purchase falls below a particular level. The acquirer should, at the acquisition date, allocate the cost of a business combination by recognizing the acquiree’s identifiable assetsTypes of AssetsCommon types of assets include: current, non-current, physical, intangible, operating and non-operating. Correctly identifying and classifying the types of assets is critical to the survival of a company, specifically its solvency and risk. An asset is a resource controlled by a company which future economic benefit, liabilities, and contingent liabilitiesContingent LiabilityA contingent liability is a potential liability that may or may not occur depending on the result of an uncertain future event. The relevance of a contingent liability depends on the probability of the contingency, its timing, and the accuracy with which the amount associated with it can be estimated. that satisfy the recognition criteria at their fair values at that date. Differences between the cost of the business combination and the acquirer’s interest in the net fair value of the identifiable assets, liabilities, and contingent liabilities should be accounted as goodwill. Accounts and notes payable, long-term debt, liabilities, accruals and other claims payable The present values of amounts to be disbursed in settling the liabilities determined at appropriate current interest rates. However, discounting is not required for short-term liabilities when the difference between the nominal and discounted amounts is not material. Contingent liabilities The amounts that a third party would charge to assume those contingent liabilities. Such an amount should reflect all expectations about possible cash flows. In the case of an asset other than an intangible asset, it is probable that any associated future economic benefits will flow to the acquirer and its fair value can be measured reliably. In the case of an intangible asset or a contingent liability, its fair value can be measured reliably. The acquirer’s income statementIncome StatementThe Income Statement (or Statement of Profit and Loss) shows performance from operations of a business. The financial statement begins with revenues and should incorporate the acquiree’s profits and losses after the acquisition date by including the acquiree’s income and expenses based on the cost of the business combination to the acquirer. Not recognize liabilities for future losses or other costs expected to be incurred as a result of the business combination. Arises from contractual or other legal rights. For identifiability, separability, as well as contractual and legal rights, are taken into account. Accounting principles want to reflect that an entity’s equity value is reflected in the value of its intangible assets. Under previous accounting rules, the identifiability of separate net assets relied purely on the ability of the entity to identify an asset or liability separately. 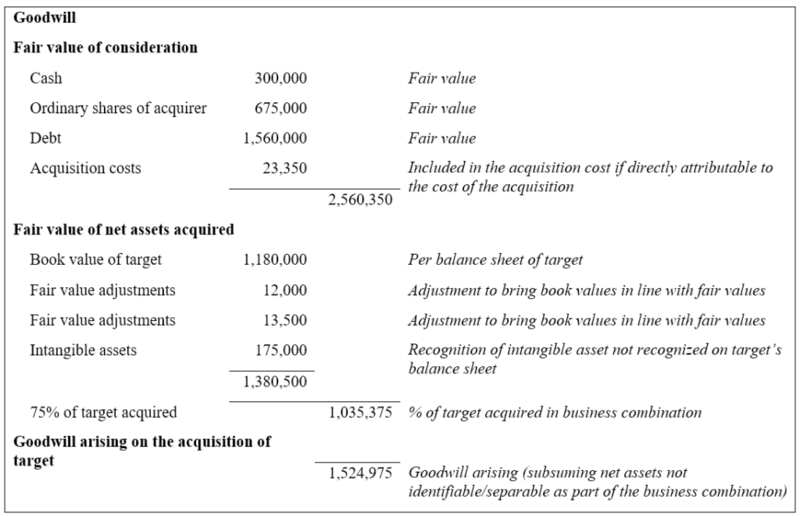 Current accounting rules examine the amount an acquirer is willing to pay for an acquisition and allocate it through a more thorough set of intangible asset recognition criteria. Note that not all items that are deemed to add value to the entity in question should be recognized separately. This is usually because the entity does not control the resource in question. For example, the skills of a workforce embodied in a group of people do not meet the intangible asset definition, as the entity often has insufficient control over the actions of the group. In conclusion, the skills of a company’s workforce do not qualify as a separate intangible asset. Under IFRSIFRS StandardsIFRS standards are International Financial Reporting Standards (IFRS) that consist of a set of accounting rules that determine how transactions and other accounting events are required to be reported in financial statements. They are designed to maintain credibility and transparency in the financial world, the expenditure during the research of an in-process research and development (IPRD) project must be expensed. 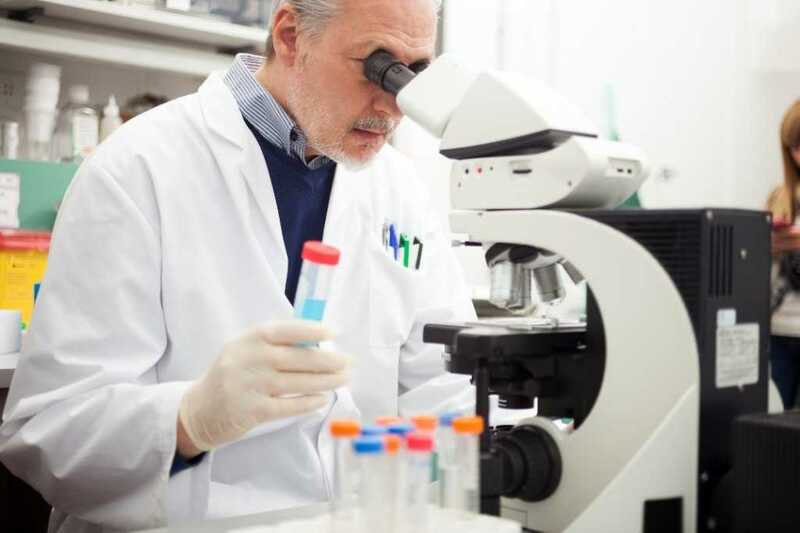 However, subsequent expenditures during the development phase of a project (the commercial development of existing research knowledge) may be capitalized post-acquisition. Under US GAAP, neither past expenditure on research nor on development is treated as a separable asset acquired as part of the acquisition. 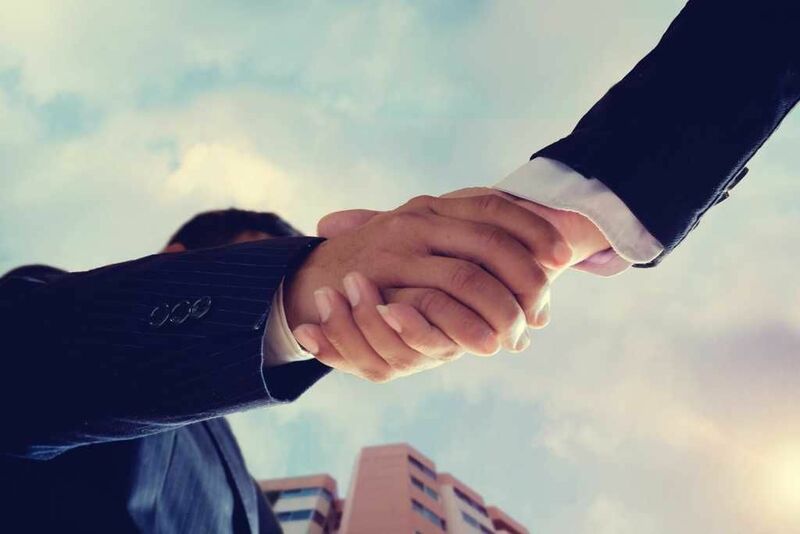 On the date of acquisition, goodwill arising from the business combination should be recognized in the balance sheet of the acquirer as an intangible asset. The asset is measured as the excess of the acquisition cost over the acquirer’s interest in the fair value of the assets acquired and the liabilities assumed. The goodwill sits as an intangible non-current asset on the balance sheet of the acquiring entity. It is not amortized but is tested for impairment periodically. Negative goodwill arises when the acquisition cost of a business combination is less than the fair value of the net assets acquired. If the initial calculation of the goodwill is deemed appropriate, the negative goodwill is written off and a gain is recognized in the income statement. Negative excess is recognized immediately in profit or loss for the period. A minority interest is a portion of profit or loss and net assets of a subsidiary attributable to equity interests that are not owned, directly or indirectly through subsidiaries, by the parent. Consider the group structure below. The parent company owns 75% of the equity voting share capital of the subsidiary. The rest of the voting share capital of the subsidiary is owned by parties external to the group shareholders. The minority interest in the income statement represents the appropriation of profit that is owned by parties outside the group shareholder structure. A more comprehensive example of minority interest is available in the full investment banking training manual.